You are here: Home / I am a Reluctant Landlord / Stop! 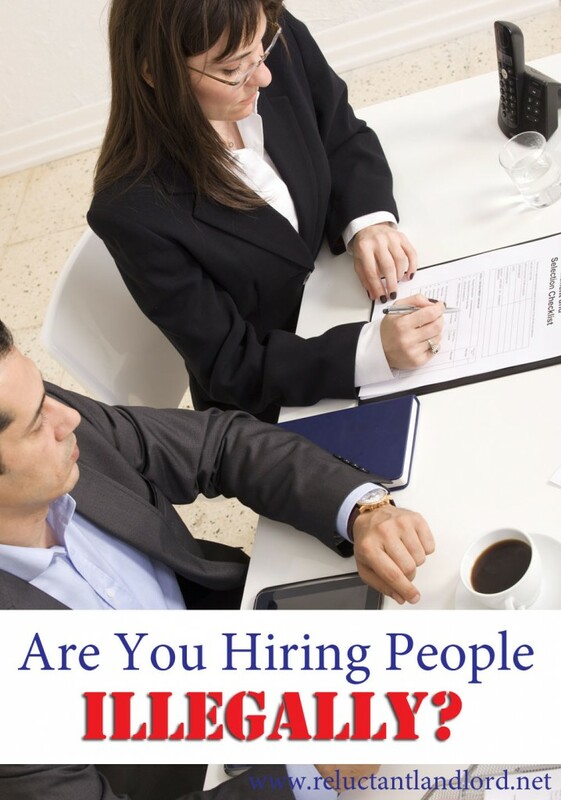 Are You Hiring People Illegally? Stop! Are You Hiring People Illegally? As a long distance landlord, our helpers are imperative to our business. Without them we wouldn’t be successful and able to carry out our job as landlords. While virtual technology has given us a huge advantage, it unfortunately cannot cover everything. This is why hiring others is something many people do. At the same time, one has to be very careful about how you use these helpers so you don’t break any laws. Per most state laws, contracts including leases must be done by a lawyer for a third party. The exception in real estate has been made to brokers/agents under very specific cases. Are your brokers licensed? Are your property managers licensed? In most states, to deal with real estate you must be an agent or lawyer. Some states, such as South Carolina, only require you to take a class and pass a test to be a manager. California, on the other hand, requires any real estate actions with a third party to be done as a broker — that broker must have two years of experience or a legal degree. The only excpetion I have found has been with a POA and (very important) no payment. By hiring someone who is not licensed or following the state laws, you are causing trouble for everyone involved. Not only does the landlord run into potential legal issues, but the helpers do too. It is very important that you are careful about what you involve them in so as not to break the law and cause further problems. I limit our helpers’ jobs to opening the doors to prospective tenants, doing the walk through of the house with them, and handing the key or in some cases (putting it in a flower pot or on the door) to the tenants. You DO NOT want them signing leases or other documents for you! The only time I have done this is with a POA, and I do not charge any financial money for this service. This way, later down the road, I cannot be sued or have the lease thrown out. I know this sounds like an over reaction. That being said, it won’t be an issue until it is involving a lawyer. 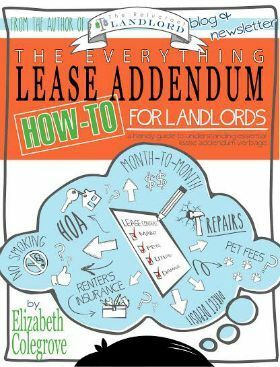 At that point if your validty of the lease comes into play, you could lose (serious) money even if you have done nothing wrong. I strongly caution you from hiring any one unlicensed to act as your monthly property manager or to do contract work such as signing your lease, etc. It is one thing to have a friend help who isn’t being paid, but if you involve others you are opening up a world of potential problems. So, who are you hiring?